Transform your smile and feel great! Whether you’d like to restore the brightness of your smile or correct discoloured, damage or uneven teeth, Smiles Unlimited offers a full range of Cosmetic Dentistry treatments for that smile you truly deserve. Not only does your smile reveal your confidence, it can also indicate health and happiness. There are many ways we can give your smile a makeover, helping you feel youthful, attractive and looking natural. Unlike plastic surgery, cosmetic dentistry isn’t a major operation and the results can be immediate – pain free, hassle free and no time taken out of your busy life. Our dental team are waiting to assist you in getting the smile you’ve always wanted. Speak to us today about our complimentary Smile evaluation. Would I benefit from Cosmetic Dentistry? Cosmetic dentistry is not just about looks, there are many cosmetic dental procedures available for a wide variety of dental needs. 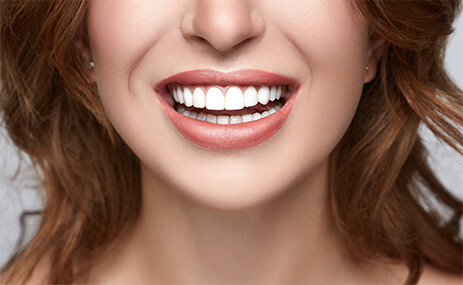 Whether you just want to remove stains from your teeth, or have chipped, crooked or missing teeth, an over-bite, under-bite or cross-bite, we can recommend suitable treatments that will deliver the results that you require. How do I know I'll be happy with my Cosmetic Dentistry results? Our cosmetic dentists take an individualised approach toward each patient's treatment. We always consider the shape of your face, natural form of your teeth and other factors to ensure we achieve optimal results.